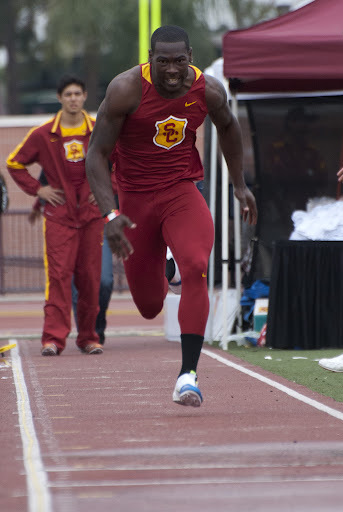 All-American wide receiver Marqise Lee won the long jump event at the Trojan Invitational on Saturday. 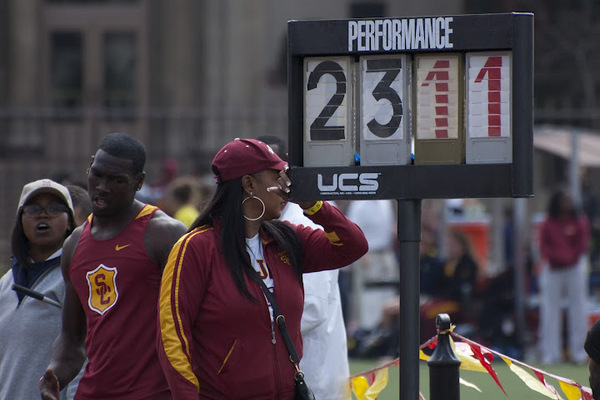 He jumped 23” 11.5”. 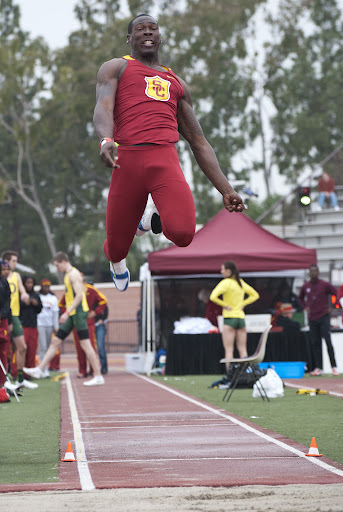 Photos by John McGillen after the jump….